Hush Hush Little Baby is providing support to The Davis Moon Project. Haleigh co-founded the Davis Moon Project in 2008 with a family she was nannying for at the time. Haleigh still till this day has a close relationship with Davis Moon, the little boy adopted from Ethiopia that stole her heart and opened her eyes to what life is really about. Haleigh cared for Davis in Texas for 3 years, and continued to manage DMP. (You can read more about Davis HERE). DMP started by supplying small orphanages and public libraries with school supplies and books, thousands and thousands of books! To date DMP have transported over 6,000 books! Bag by bag to books made their way to Addis Ababa, Ethiopia. 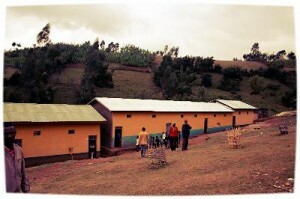 Today DMP now runs a school in rural Ethiopia. A small town named Arbegona is the home the first DMP school! The school started with a few hundred students and a couple of buildings that were hardly functional. The DMP school now serves 1200+ students and has brand new facilities, books and supplies the school children have access too. High Risk Hope only target hospitals with designated level III NICUs, meaning they admit women with the highest-risk pregnancies and treat the most critical premature infants.Hospital staff identifies eligible patients as those placed on long-term hospital bed rest. Priority is given to patients with the most severe pregnancy complications and bed rest restrictions.HRH Volunteers deliver Bed Rest Baskets to patients containing every item a mom-to-be needs to survive long-term hospital bed rest. The items we include are not provided by hospitals and ensure every patient’s basic needs are met so the patients can focus on a healthy mom and baby.HRH Volunteers deliver the Hope of leaving the hospital with a healthy baby by providing patients with encouraging stories of past HRH babies. They also offer ongoing patient support during after their stay in the hospital.